Writer's Market nonfiction listings help writers find editors who will accept their nonfiction submissions. Since 1921, Writer's Market has provided writers of both fiction and nonfiction with listings of magazines, newspapers and book publishers. These listings have helped many aspiring writers become published authors. Many authors got their big break by using the listings in Writer's Market. The 2009 edition marks the 88th year this venerable reference tool has been published. Writers can use the Writer's Market to look up fiction and nonfiction publishers. Sections within the Writer's Market appeal to novelists, short story writers, and aspiring magazine writers. The listing of nonfiction markets is especially comprehensive. Like Writer's Digest magazine, the Writer's Market also contains useful articles on how much to charge for various writing services, how to target various markets, how to find an agent, and much more. The print edition is bigger than most telephone books and provides more than 3,500 listings. Sections are organized according to book publishers, nonfiction publishers, magazines and agents. Magazine markets are also divided into categories such as aviation, animals, publications for women and more, so that writers can find markets easily. Each listing includes the publication's address, the current editor at the time of publication, the publication's needs, and pay rates. The list price is $29.99, but it is $19.99 on Amazon. The new online edition provides the same listings as the print edition, but with the added benefit of more frequent updates. If an editor moves to another publication or a publication folds, for example, the online edition will be updated much more quickly than the print edition. An interactive dashboard enables users to create folders and save listings into the folders. An added bonus of the online version is an interactive message board where writers can communicate with other writers, posting questions or responding to discussions. The deluxe print edition of Writer's Market includes an access code with a subscription to the online version. If purchased separately from the book, the online edition costs $29.99 for one year of access. The Writer's Market nonfiction listing provide hundreds of ready markets for articles, but using the book or online tool effectively challenges many new freelance writers. Here are several tips on getting the most out of the Writer's Market nonfiction section. Familiarize yourself with Writer's Market. Take time to learn how the book or the online tool is organized. Review several listings to get a feel for how the information is set up so you can find and use it quickly. Brainstorm article concepts. Cluster concepts by topic so that you will be able to generate several different query letters with different slants suited for various nonfiction markets. Know the market. It's not enough to review the Writer's Market nonfiction listings; writers must also be familiar with the actual publications they hope to write for in order to successfully pitch their work. Most writers spend time at the bookstore or public library reviewing copies of magazines they wish to target. If you can find the magazine at the local public library, glance through at least six months' worth of back issues. You'll be able to spot trends, article topics already covered, and the magazine's particular slant or focus by reviewing several issues. If you can't find the publication in person, write to them and request a sample copy. Read the entire submission guideline. 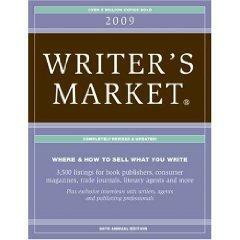 The Writer's Market nonfiction listings provide basic information on the publication and its needs. Smart writers take the time to visit the publication's website too and read the submission guidelines. The guidelines provide much more information and may include other tips on how freelancers can break into the magazine. For example, some magazines encourage new writers to submit short feature articles to specific monthly columns. Many list this on the submission guidelines, along with the editor's tip on how to get published in that magazine. If you're using the online Writer's Market nonfiction listings, there are several added features that save writers time and effort. Visit the personalized homepage and view the Market Watch section. It lists several markets daily. Make it a point to check one per day. It may open additional venues for writing. Use the Rate Chart to determine freelance writing fees. Narrow search results using the Advanced Search function. This function lets you check off various parameters, such as market, whether the publication pays on acceptance or publication, and pay scale. Use the drop down menus to narrow down the search results when looking for places to sell nonfiction articles. Set up personal folders using the MyFolders tool. These enable you to group and save search results and individual submission guidelines by categories. Check out the Writer's Resources section frequently. Expert advice, links to additional resources and an online encyclopedia are all included in the access price and provide more help to freelance writers. Use the links in each publication listing to click through and review the publisher's website. You can usually browse through the publication's website and see which topics have been covered in recent issues. This helps writers avoid wasting time querying publications with topics they've recently covered. Track your queries and articles using the Submission Tracker tool. Whether you choose the print or online version, the Writer's Market nonfiction section has provided aspiring and experienced authors with many paying markets to sell their work. Through hard work and persistence, most writers can find many well-paying markets who will buy their nonfiction writing.